Cooperstown, New York, honors its own forgotten pioneer, Bud Fowler, on April 20, 2013, with the naming of the entrance into legendary Doubleday Field "Fowler Way" and the installation of a permanent plaque in the brick wall of the first base bleachers. 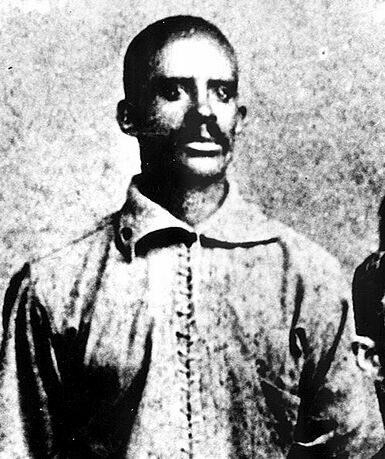 Fowler (born John W. Jackson) is recognized as the first African-American player in organized professional baseball, playing for over two decades in the nineteenth century despite facing constant racial discrimination. Fowler was born in nearby Fort Plain but grew up in Cooperstown, where his father worked as a barber on Main Street. To honor Fowler's contributions to baseball and the fight for racial equality, the Board of Trustees has voted to honor its own trailblazer on the occasion of the hundredth anniversary of his death. The ceremony will take place in coordination with the 2013 Frederick Ivor-Campbell 19th Century Base Ball Conference held by the Society for American Baseball Research (SABR) on April 19-20, 2013, in Cooperstown. The Village of Cooperstown will host programming on Sunday, April 21 to celebrate, including an event at the Bullpen Theater of the National Baseball Hall of Fame and Museum. It is with great pleasure that Village of Cooperstown Mayor Jeff Katz proclaims April 20, 2013 Bud Fowler Day. For more information, please call the Village of Cooperstown office at 607-547-2411 or visit our website at http://www.cooperstownny.org. For more on the Frederick Ivor-Campbell 19th Century Base Ball Conference, visit http://sabr.org/ivor-campbell19c. This page was last updated February 4, 2013 at 1:21 pm MST.